Central banks enter the new year under pressure from investors to rethink just how aggressive they can be hiking interest rates. 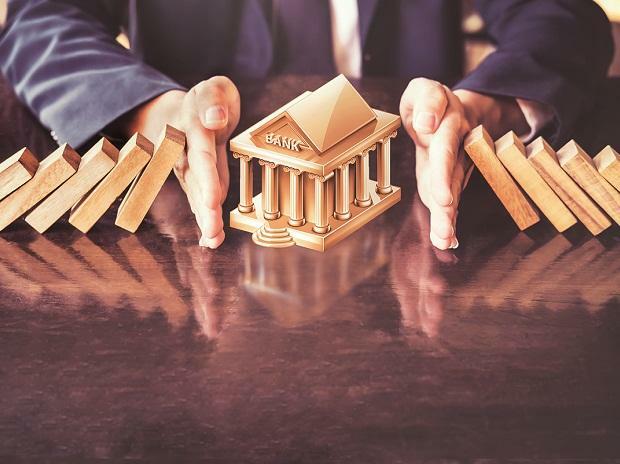 A slowdown in the world economy, the trade war and skittish financial markets are forcing policy makers including Federal Reserve Chairman Jerome Powell to express fresh caution about their scope for tightening monetary policy. The People’s Bank of China is also pledging support for its economy. That outlook marks a change from last year where a majority of central banks raised rates and the European Central Bank ceased buying assets. Of course, if economies weather the latest challenges, policy makers may need to rethink anew. Here is Bloomberg Economics’ quarterly review at 24 of the top central banks, which together set policy for almost 90 percent of the global economy. We outline the issues they face in 2019 and how they might respond. The Fed spooked markets at the end of 2018 with a projection for two rate hikes in 2019, based on a more optimistic outlook for the economy than investors held. Policy makers pointed to forecasts continued strong growth and jobs gains, while investors fretted over slowing global growth and the ongoing trade war between the U.S. and China. Contributing to the unease, Bloomberg reported on Dec. 21 that President Donald Trump had discussed the possibility of firing Fed Chairman Powell out of frustration over the Fed’s gradual tightening campaign. Powell has since dialed back his message, assuring markets he would be flexible and patient. Many Fed watchers now believe U.S. policy makers are unlikely to raise rates before June unless data surprises to the upside. The euro area reached a turning point for monetary stimulus when the ECB capped quantitative easing at the end of 2018. A slowing economy and sub-target inflation means the central bank will stay supportive. It intends to keep interest rates at record lows at least through the summer of this year. Economists predict a hike late in the year, though investors don’t expect one until 2020. Much will depend on how the 19-nation economy copes with risks from protectionism and volatility in emerging and financial markets. Mario Draghi’s term expires in October, meaning he may leave without raising rates as president. Jockeying for his job has already started, with a decision by governments likely after European Parliament elections in May. The BOJ faces a huge test in 2019 as inflation falls further below its 2 percent target, exposing the limits of its massive monetary stimulus program. Some economists see a risk of the core consumer price index falling below zero as cheaper energy and mobile-phone charges undermine BOJ policies. January’s flash crash in the currency market, which brought a sharp and unwelcome strengthening in the yen, underscores how much is beyond the central bank's control. While stimulus continues to weigh down profits at commercial banks and distorts the bond market, a majority of BOJ watchers expect Governor Haruhiko Kuroda to keep his current yield-curve settings in place at least through the end of 2019, with the short-term rate locked at minus 0.1 percent and the 10-year bond yield target at around zero percent. Bond purchases are likely to be pared back further, while the BOJ’s presence in the market for exchange-traded funds will depend on whether stocks need propping up. Tweaks to reduce policy side effects are possible, but on balance the BOJ is expected to drift further from its peers as they chart a return to pre-crisis policies. The looming hike to the sales tax may also complicate matters. Mark Carney is starting his final full year as Bank of England governor before he leaves in January 2020. He can expect the central bank’s outlook to continue to be dominated by Brexit, especially after the U.K. formally leaves the European Union on March 29. As the deadline nears and the chance of a chaotic exit rises, investors have bet there’ll be no rate increases in the next 12 months, though economists foresee at least one being squeezed in. Carney has warned that a no-deal Brexit could drive up inflation that requires higher borrowing costs. If the government can get a deal signed in time, the market outlook could quickly be rewritten. The Bank of Canada is sticking to its view that more interest rates increases will be needed on top of five hikes over the past two years, but there seems to be a lot less urgency than there was a few months ago. Canada’s oil-producing regions were hit hard by last year’s slide in crude prices, leading the BOC to sharply mark down the near-term outlook for the economy at its latest rate decision. It also softened its tone on future moves, saying they would only happen “over time.” Still, the soft patch in growth is seen as a temporary one, and policy makers expect the economy to rebound later this year – putting them back on the hiking path. So far it has held off cutting its benchmark rate, but the PBOC is expected to further ease monetary policy in 2019 as the economy faces a deepening slowdown and the trade conflict with the U.S. The central bank said it’ll keep monetary policy prudent while striking an “appropriate” balance between tightening and loosening, implying a slightly looser stance than 2018 as it ratchets up targeted stimulus. If the Fed turns more dovish, the PBOC will face less downward pressure on the currency, simplifying its policy considerations. India’s central bank under a new governor Shaktikanta Das is likely to prepare markets for an interest rate cut as inflation undershoots the 4 percent medium term target and growth slows. Weakening consumption due to tighter financial conditions, uncertainty over investments ahead of a general election in spring this year and risks to exports from global headwinds are likely to see the Reserve Bank under Das, adopt a more dovish stance on monetary policy in the coming months. Investors in the swap markets are pricing virtually no change in the repo rate, a far cry from early October when they were factoring in nearly 100 basis points of hikes to 7.5 percent. That is partly because oil, India’s biggest import, has slumped and the rupee, Asia’s worst performing major currency in 2018, has stabilized. Along with expectations that the Fed may pause in its rate tightening cycle, external risks to the economy have receded, prompting the central bank to train its attention in domestic factors like slowing growth and inflation. Central bank chief nominee Roberto Campos Neto will be in a comfortable position when he takes over the reins of the the monetary authority, following his expected Senate confirmation in February, under the government of Jair Bolsonaro. Inflation is running below target and the benchmark interest rate stands at an all-time low of 6.5 percent. Following a series of faster-than-forecast deflation data, analysts have been cutting their outlook for the benchmark interest rate. Economists surveyed by the central bank now expect the so-called Selic rate to rise a mere half a percentage point this year – and some even think it may remain unchanged throughout 2019. For 2020, it is expected to increase another percentage point, depending on how much traction Brazil’s economic recovery gets under Bolsonaro’s planned structual reforms. The Bank of Russia has a history of hawkishness, with both rate hikes in the last three meetings surprising most forecasters. Now, Russia is facing short-term inflation risks thanks to a VAT increase that kicked in on New Year’s Day and the ruble is taking a pounding along with the oil price. In a move that looks like shooting the messenger, President Vladimir Putin signed a law in December that bans currency-exchange offices from displaying rates to passersby. But perhaps the biggest uncertainty in Russia is the threat of further U.S. sanctions. With tensions flaring again over the arrest of an American in Moscow on spying charges, geopolitics is never far from the central bank's thoughts. Governor Elvira Nabiullina said at her final 2018 press conference that a return to rate cuts will only be possible at the end of this year, while internal and external factors may encourage Russia’s cautious policy makers to continue to tighten. The South African Reserve Bank’s November rate increase may give it room to support economic growth by holding the benchmark rate at 6.75 percent until at least the third quarter before it tightens further. While the central bank’s quarterly projection model prices in four more rate increases of 25 basis points each by the end of 2020 and inflation was at an 18-month high in November, price-growth expectations cooled since the middle of December as a stronger rand and the drop in oil brought down energy costs. The composition of the Reserve Bank’s Monetary Policy Committee will change this year. Mexico’s central bank is about to undergo a transformation as two new members tapped by leftist President Andres Manuel Lopez Obrador are set to join the five-person board. While not enough to shift the majority away from its hawkish voting pattern – Banxico’s been raising rates for three years now – the discussion within the central bank will likely become far more divided once the two members are ratified by the Senate as early as this month. Banxico will still have to contend with inflation that’s hovered stubbornly above the 2 percent to 4 percent target range, along with new challenges posed by an administration that’s planning to spend far more on social programs. That’s led some economists to see rates rising this year to a record high from its current 8.25 percent. For now, the median forecast in a Bloomberg survey shows rates stabilizing until they slowly come down starting in the second half of the year. expectations are the tightening cycle may be coming to an end.With a presidential election set for April, cost of living is set to be a key focus for the government, putting pressure on the central bank to keep a lid on inflation. While inflation has been relatively subdued and well within the target band of 2.5 percent to 4.5 percent, the election could add to price pressures. The other key consideration is the current account deficit which leaves Indonesia vulnerable to outflows should sentiment dive again, and which has seen the government taking steps to curb imports and boost exports. Turkey’s consumer inflation rate is finally dropping after the immediate impact of last year’s currency slump began to dissipate. But it still remains more than four times the five percent official target, and the slowdown in prices isn’t as fast as the collapse in private consumption, typically the biggest driver of growth in the Middle East’s largest economy. The combination of a high inflation rate and severe economic slowdown leaves the Turkish central bank in an awkward place. On the one hand, it must keep monetary policy tight to maintain the price trajectory it targets for this year. On the other, gross-domestic figures for the third quarter of 2018 show the economy could be in need of some kind of stimulus. The slump in activity spells trouble for President Recep Tayyip Erdogan ahead of municipal elections in March, but there is little monetary policy action could achieve in such a short period of time. Any possible steps to ease access to liquidity will be critical to the fate of the lira and to Turkey’s corporate sector, which relied heavily on FX financing and is now struggling to service foreign debt after the lira's collapse. Nigeria’s central bank has kept its key rate at a record high 14 percent since July 2016 and indicated it will maintain a tight monetary policy stance to tame above-target inflation. Price risks stemming from increased spending ahead of the February election and the possible deregulation of fuel prices could trigger an interest-rate increase in March. The central bank may see a change in leadership this year when Governor Godwin Emefiele’s first five-year term ends in June. CBN governors and deputies are appointed by the president and can serve a maximum of two five-year terms, but traditionally only serve one. A new governor is unlikely to alter the policy trajectory significantly, meaning a continuation of existing policies to tame price growth, defend the naira and build up reserves. The Bank of Korea raised its key interest rate for the first time in a year in November. While a majority of economists forecast another 0.25 percentage point increase in 2019, this isn’t assured and some have suggested that a cut is possible if economic conditions deteriorate. Governor Lee Ju-yeol and his policy board continue to weigh competing concerns that will become increasingly challenging this year. Accommodative policy is needed to spur sputtering growth and inflation that remains below the 2 percent target. Yet a widening interest rate gap with the U.S. creates the risk of capital outflows and counts in favor of tighter policy. Record household debt is another thorny problem for the central bank, which must not push borrowers into trouble by raising rates too much while being sure not to encourage too many new loans with cheap money. The RBA is likely to remain on the sidelines for the first half of this year, but its patience will be tested. After a two-month hiatus, its next rate decision in February will be closely watched for comments on what’s fast becoming a key worry: plunging property prices. A 11.1 percent slide in the price of Sydney housing from the peak peak helped turn around market bets on the next policy move, with traders now seeing more chance of a cut than a hike this year. Australian households are among the world’s most indebted, and the RBA’s worried that a prolonged housing slump will drag on consumption. Still, this is somewhat uncharted territory: house prices are falling while the economy is still growing just above its speed limit and the jobless rate is near the lowest in almost seven years. That helps explain why the RBA as recently as December reiterated that the next rate move is still likely to be up. Saudi Arabia’s currency peg to the dollar and the fact that its main export, crude oil, is priced in dollars, means that its interest rate tends to closely track the Fed. Though the kingdom’s economic recovery remains fragile, the central bank has given little indication it would change course this year. Argentina’s central bank no longer sets inflation goals and now lets daily bond auctions determine its benchmark rate. Under the terms of a revised agreement with the International Monetary Fund, policy makers led by Guido Sandleris are targetting monetary aggregates in a bid to freeze the expansion of pesos in the economy. The new strategy amounted to a sharp monetary tightening, as Argentina’s money supply was expanding at about 2 percent a month before the policy change. The benchmark interest rate was at a world-high 60 percent. Since then, inflation expectations have somewhat moderated but still at very high levels: consumer prices are expected to increase 28.7 percent over the next 12 months. Since shocking markets in January 2015 by abolishing its minimum exchange rate, the Swiss National Bank has kept policy on hold, sticking with the lowest rates of any major central bank and a pledge to intervene in currency markets if necessary. Although the economy grew at an unusually strong pace in 2018, the franc also rallied against the euro on the back of investor unease about Italy and other political turmoil. With the ECB pledging to keep borrowing costs in the neighboring euro zone at rock bottom through next summer, the SNB is very likely to stick with current policy for the foreseeable future to avoid exacerbating pressure on the franc. President Thomas Jordan and his colleagues have also grown more dovish on the inflation outlook, giving them ample space to keep policy accommodative. Sweden’s central bank ended last year by raising its benchmark rate for the first time in seven years. With consumer price growth and inflation expectations solidly back at the 2 percent target, the majority of the governing board members felt comfortable enough to take another step in removing the record stimulus unleashed over the past four years. The central bank now anticipates that it will raise rates again in the second half of this year and then two times next year. But investors such as Pimco and the major Swedish banks are doubtful it will be able to pull off an exit as economic headwinds build. Governor Stefan Ingves and his colleagues will also over the coming meetings need to decide on whether to keep reinvesting its massive balance sheet after a June end date. Norway’s central bank is preparing the next step in a gradual shift away from extreme monetary stimulus, predicting a second interest rate increase again in March. After suffering through the worst oil crisis in a generation, the economy of western Europe’s largest exporter of crude is now growing above trend. Petroleum investments are expected to boost the economy this year with unemployment holding steady at 4 percent. But the recent swoon in oil prices and the global slowdown could keep policy makers in Oslo from not straying too far ahead of their colleagues in Frankfurt and Stockholm. Governor Adrian Orr remains firmly in wait-and-see mode and there is little prospect of a change in stance this quarter. The economy has cooled and inflation remains benign, supporting Orr’s call for rates to be held at a record low well into 2020. While data are sufficiently healthy to make the chances of a rate cut look remote, further policy easing cannot be entirely ruled out. Orr has shown himself to be growth-focused – a dove in comparison to his hawkish predecessor. As well as those on the international horizon, downside risks include the RBNZ’s plan to force banks to hold bigger capital buffers, which could slow lending. Polish interest rates, on hold at a record-low of 1.5 percent since May 2015, probably won’t be changed until the end of the term of this Monetary Policy Council in 2022. Central bank Governor Adam Glapinski revealed that scenario in early January, extending the longest ever pause in rates past the earlier projected horizon for the end of the decade. Despite annual gross domestic product growth of above 5 percent and rapidly rising wages, inflation has remain subdued amid low oil prices and a freeze in domestic electricity tariffs. While Glapinski has acknowledged that inflation may be slower and growth stronger, he sees a stronger probability of rates staying unchanged. The Czech central bank, one of the global front-runners in lifting borrowing costs, interrupted its tightening push in December to gauge the impact of its record series of interest-rate increases. The five hikes last year were a reaction to weak currency, which has failed to cool the economy in which a robust wage growth has been fueling consumer demand and inflation pressures.Policy makers are again expecting the koruna to gain this year and tighten conditions for businesses, and they said that absence of currency appreciation could allow more hikes. The central bank says the benchmark should continue rising to bring real interest rates from negative to neutral levels, but it said decisions on further hikes will be more difficult than in 2018. That's partly because the export-reliant nation could be exposed to global risks such as trade protectionism and Brexit, and an overdone monetary tightening may constrain the economy too much.